Dr. Mark Fontes BSc, ND graduated from McMaster University with a Bachelor of Science (Honours). During that time, Dr. Fontes’ interests and endeavours motivated him to pursue a career in medicine. He then began his studies at the Canadian College of Naturopathic Medicine (CCNM) in Toronto, where he then completed the two-year accredited clinical residency program where he received additional training in the treatment of cancer. Dr. Fontes is board-certified in naturopathic cancer care and has received the FABNO (Fellow of the American Board of Naturopathic Oncology) designation, the highest standard of training in adjunctive naturopathic cancer care. Dr. Fontes is a strong proponent of the integrative quality of naturopathic medicine in oncology and has presented on a variety of topics including : Naturopathic Medicine: an evidence based approach at the Univeristy of Toronto Medical School, and Pediatric Oncology: Naturopathic Treatment and Case Reports at CCNM. He has also been published several times in newspapers, journals, and magazines. Dr. Fontes strives to incorporate the highest quality evidence available in naturopathic cancer care into his treatment plan for patients. The goals of naturopathic cancer care are to improve overall survival, minimize the side effects of chemotherapy and radiation therapy safely and effectively, and improve quality of life for patients living with cancer. Dr. Fontes communicates and works with his patients’ medical doctors, oncologists and other healthcare providers in order to ensure collaborative and patient-centered care. 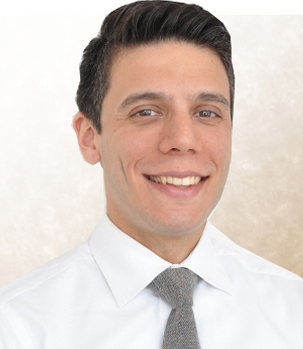 In addition to private practice, Dr. Fontes is part-time faculty at the Canadian College of Naturopathic Medicine where he supervises 4th year interns in the clinic.